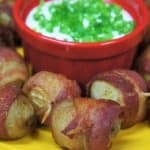 These Bacon Potato Bites make a delicious appetizer or side dish. Little gold potatoes are cooked until tender. 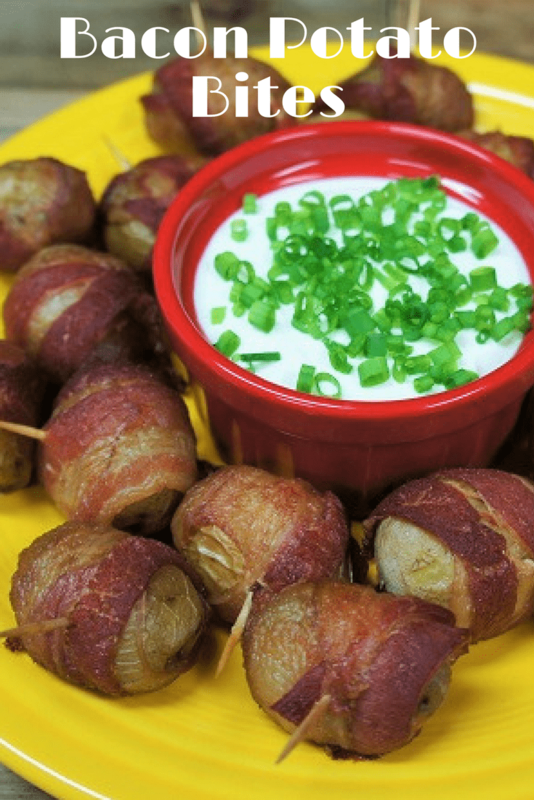 Then they’re wrapped in bacon and baked until the bacon is golden and crispy. Serve them with sour cream and chopped green onions. That’s it, simple and delicious. If you need more super easy appetizers, try these mini taco bites or this creamy spinach dip. Enjoy! Add the potatoes to a medium pot. Cover the potatoes with water by an inch or two and set them over high heat. Bring the water to a boil. Add 2 tsp. of salt and continue boiling for 15- 20 minutes, or until the potatoes are tender. A knife should go through the potatoes easily without resistance, but they should not fall apart. Drain the potatoes completely and allow them to cool. When the potatoes are cool enough to handle, wrap each with ½ a bacon strip. Wrap the potato so the bacon goes all the way around, and overlaps some. You may need to stretch it a bit and work it so it covers most of the potato. Secure the bacon in place with a toothpick. Set the potato on the parchment lined baking sheet and continue with the remaining ingredients. Bake the potatoes for approximately 35-45 minutes. Check the potatoes after 30 minutes or so and gauge the remaining cooking time from there. 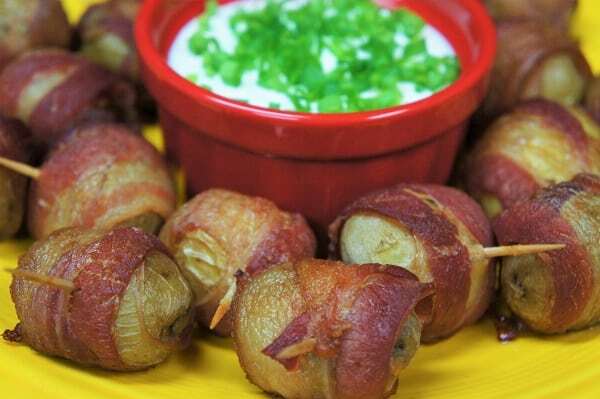 Serve the bacon wrapped potatoes bites with sour cream and chopped green onions. 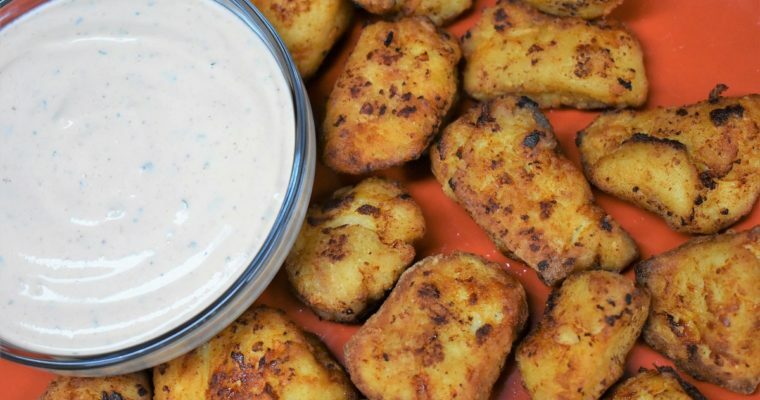 ​If you need more, (or less) of these delicious little bites, just use more potatoes and bacon, the rest is the same. Make sure you don’t overcrowd the baking sheet, set two in the oven and rotate top to bottom, bottom to top occasionally. Add the potatoes to a medium pot. Cover the potatoes with water by an inch or two and set them over high heat. Bring the water to a boil. Add 2 tsp. of salt and continue boiling for 15- 20 minutes, or until the potatoes are tender. Drain the potatoes completely and allow them to cool. While the potatoes cool. When the potatoes are cool enough to handle, wrap each with ½ a bacon strip. Wrap the potato so the bacon goes all the way around, and overlaps some. Secure the bacon in place with a toothpick. Place on the baking sheet and repeat with the remaining ingredients.